Poetry London is an arts charity and leading international poetry magazine where acclaimed contemporary poets share pages with exciting new names. Published three times a year in February, May and September, each issue contains new poetry, incisive reviews and features. Poetry London holds an annual poetry competition and launches each issue with readings from distinguished poet contributors to the magazine. The Poetry London Clore Prize competition has opened! 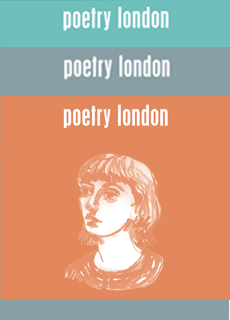 See Poetry London 2019 Competition for details. The Spring issue features poems from Fred D’Aguiar, Daisy Lafarge, Dorothea Lasky, and Matthew Dickman. In this issue’s feature essay, Will Harris explores the complexities of writing poetry from a particular moral vantage point, in a vital contribution to the debate about identity and the limits of craft that is shaping our critical moment. The interview sees Leo Boix talk to Fred D’Aguiar about his literary pantheon, on the eve of publishing his seventh collection, Translations from Memory. Meanwhile, our critics review new collections by Jericho Brown, Andrew McMillan, Raymond Antrobus, Kathryn Maris and Liz Berry. The issue closes with a moving tribute to the recently departed Matthew Sweeney, from his friend and former Poetry London reviews editor Tim Dooley. You can read a selection of poems and reviews from the Spring issue. 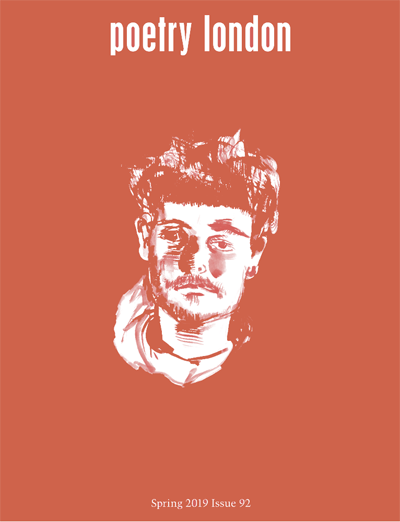 In Autumn 2018 Poetry London advertised the role of Poetry Editor, expecting to appoint a successor to Ahren Warner, our outgoing editor, early this year. Read poems from Fred D’Aguiar, Daisy Lafarge, Dorothea Lasky, and Matthew Dickman; an essay by Will Harris; interview by Leo Boix of Fred D’Aguiar; and reviews of Jericho Brown, Raymond Antrobus, and Zaffar Kunial. Plus an editorial by Ahren Warner: On the affirmative. Romalyn Ante – Names from Poetry London on Vimeo. Kwame Dawes – Mist from Poetry London on Vimeo. 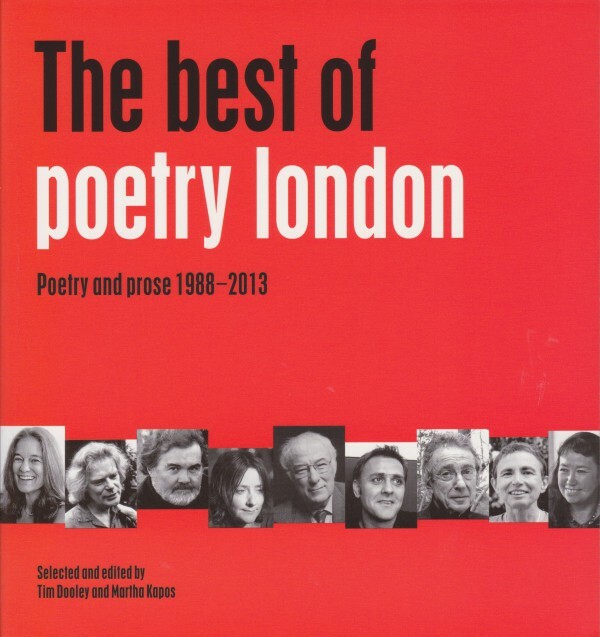 Get a copy of The Best of Poetry London for only £8 when you subscribe to the magazine.